A chill is in the air and time for preparing dinner is short. 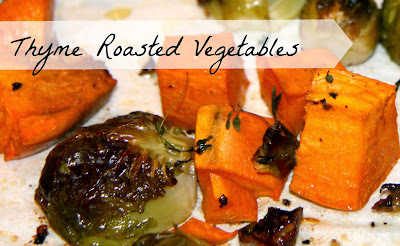 The perfect evening for Thyme Roasted Vegetables! 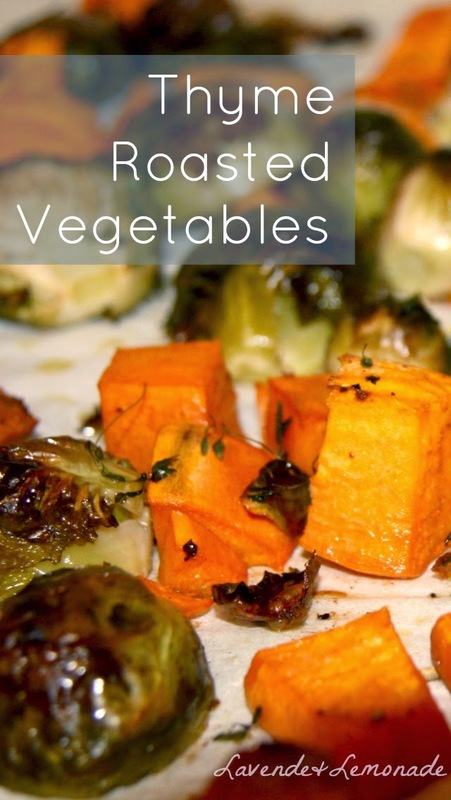 Roasted Vegetables are so simple to prepare - this version is a great blend of greens and oranges for a vitamin boost, and the oven warms the house on a chilly fall evening. 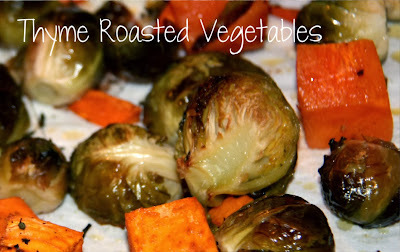 This is such a versatile dish, that works well with most any vegetables. It is a perfect vegan meal served atop a bowl of brown rice or quinoa, or could be a side to grilled chicken.Its one of those meals that you finish and almost feel your body thanking you for the healthy choice! Select and rinse a blend of vegetables. 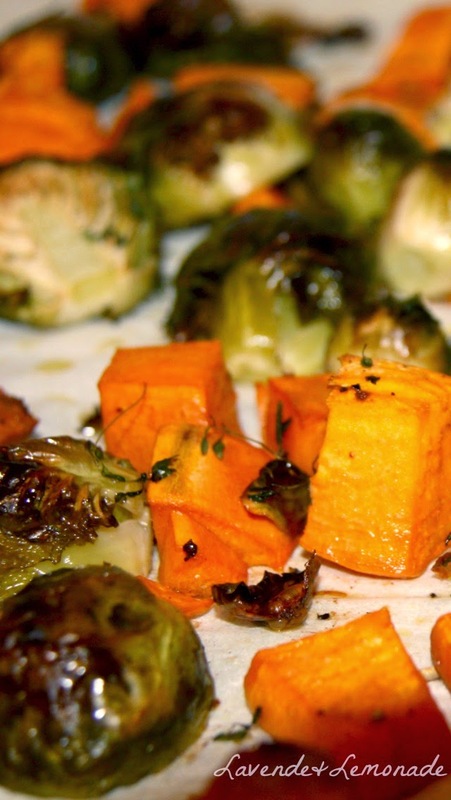 Cubes of peeled sweet potatoes and halved brussel sprouts are delicious together, but get creative with whatever is in the fridge. Toss the vegetables with a few tablespoons of olive oil, and sprinkle with sprigs of fresh thyme. The better the oil gets spread around the juicier the veggies will be when they come out of the oven. Mixing them all together with the oil is best, or if you're in a hurry just toss them with oil directly on the baking sheet. Roast the mixture in the oven for about 40 minutes, or until everything is browned and tender. 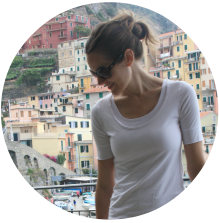 You'll never look at a brussel sprout the same way again!